This simple grain-free shortbread is made with almond flour and flavored with maple syrup. 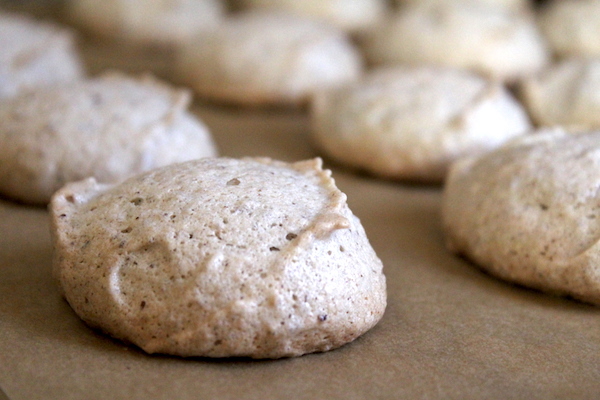 The cookies come together with just 3 simple ingredients and are naturally gluten-free. 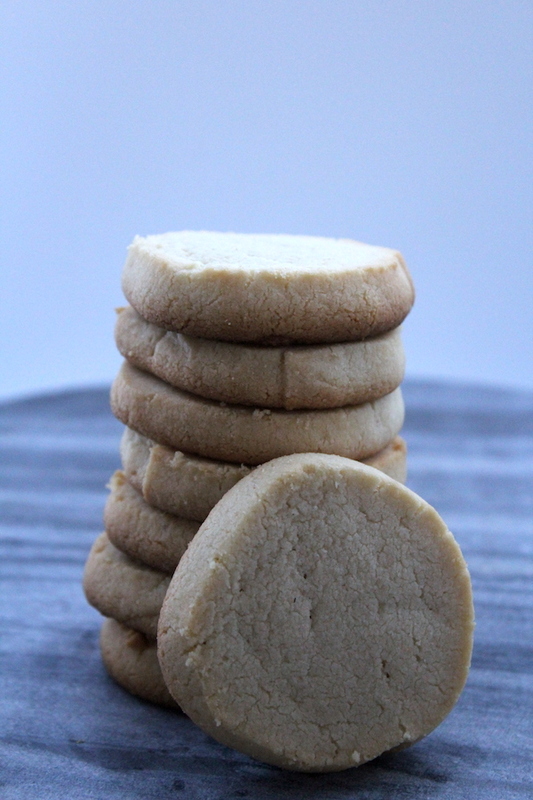 Shortbread cookies are often made with just three ingredients, flour, butter and sugar. 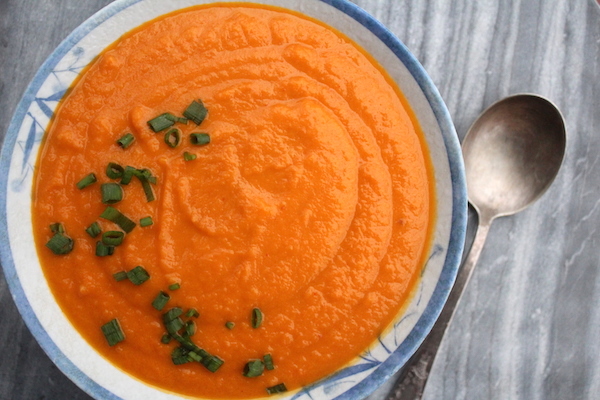 These days, cooks often mix in a bit of rice flour to get a crumbly consistency and lower the gluten content. With less gluten, the cookies are tender and the buttery goodness comes through. Since the best shortbread is naturally low gluten, why not just go ahead and make gluten-free shortbread instead? 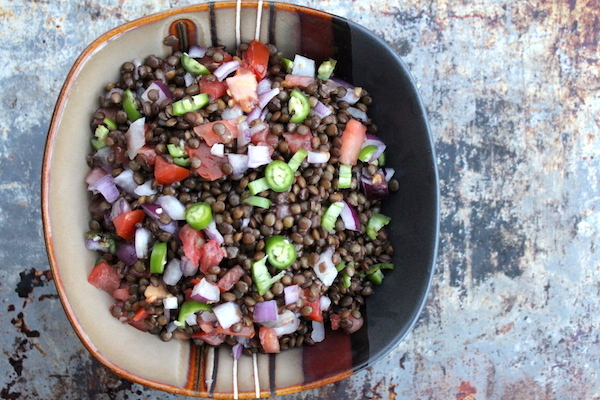 And if you’re going to go gluten-free, might as well go all the way and make them grain free too. And once you’re grain free, how about using an all natural sweetener to top them off and add amazing flavor. 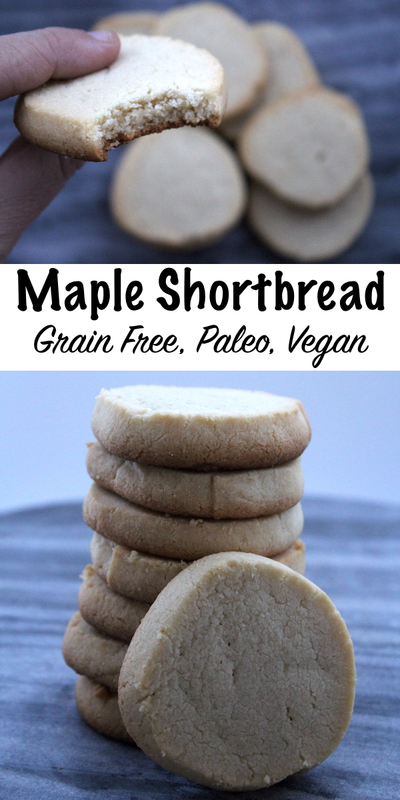 With just three ingredients, this maple shortbread is gluten free, grain free and totally paleo too. Substituting coconut oil in place of the butter is a great vegan option, and instead of a buttery flavor, the cookies will have very slight hints of coconut. Either way, they’re delicious. 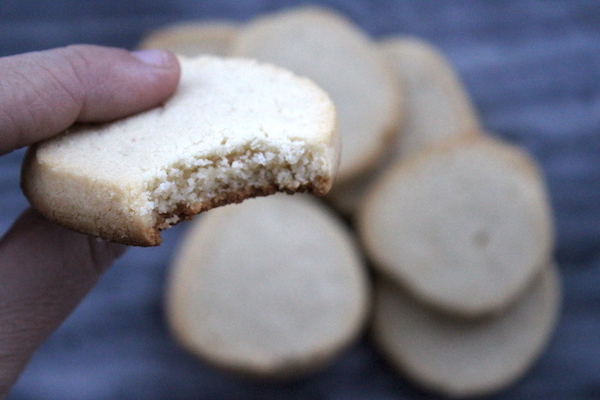 Since these almond flour shortbread cookies are high in protein and healthy fats, I don’t feel bad when my little ones ask for a cookie for breakfast. They’re wonderfully filling, and just sweet enough to fill you up and satisfy your sweet tooth at the same time. If you want these cookies to have a strong maple flavor, rather than just the natural sweetness, it’s important to use a dark grade of maple. The grading system for maple syrup in Vermont recently changed, largely to make all grades of syrup more attractive to tourists. Before the change, the good maple syrup was called ‘grade B’ so Vermonters could keep it to themselves, but it’s now labeled ‘Grade A Dark Amber’ so that it sells better to tourists. The darker the color of the maple, the more maple flavor it has. With more flavor in every bit of sweetness, darker maple grades are much better for flavoring baked goods. 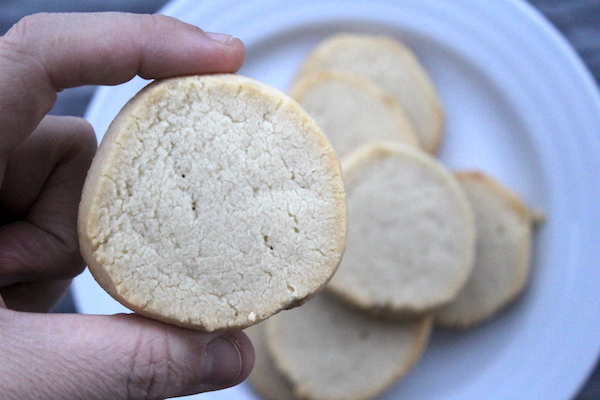 These simple three-ingredient maple shortbread cookies are grain free, gluten free and paleo. Substitute coconut oil for the butter and they're vegan too. Preheat oven to 350 degrees and line a baking sheet with parchment. Starting with softened (room temperature) butter and place it in a medium sized mixing bowl. Add almond flour into the butter combine using a rubber spatula (or hand mixer). Once the almond flour and butter are thoroughly combined, add in maple syrup. The dough will be very soft. Spoon the cookie dough onto a sheet of wax paper and roll the wax paper into a tube, roughly 2 inches in diameter. Place the shaped cookie dough into the refrigerator for 4-6 hours, or the freezer for 1-2 hours. Use a sharp knife to cut the dough into disks (about 12 cookies). 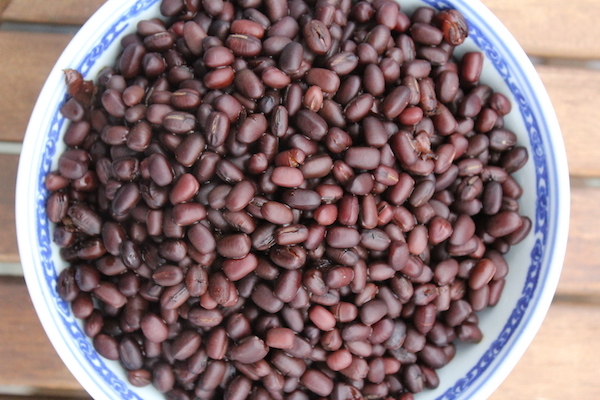 Bake until golden brown on the bottom, about 15 to 18 minutes. For Gluten free vegan shortbread cookies, simply substitute softened coconut oil in place of butter. Cooking up the world from my tiny Vermont kitchen. Follow along for traditional recipes from around the globe, as well as some of my own special creations.